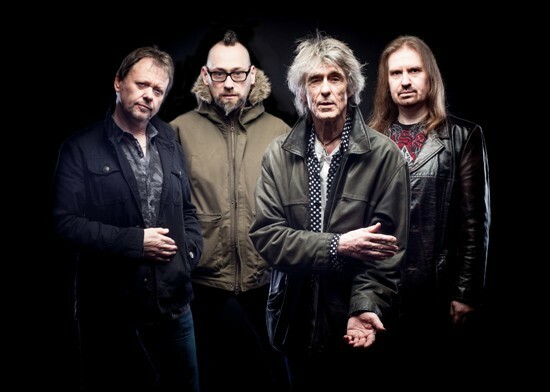 Wishbone Ash founder Martin Turner and his band will roll back the years by performing the legendary group's eponymous debut album in its entirety during a UK tour that visits Bilston's Robin 2 on October 25. 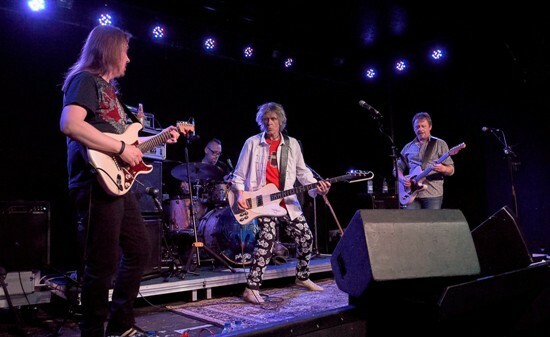 This follows on from sold-out tours in 2017 and spring 2018, during which they performed Wishbone Ash's seminal 1972 album Argus and 1974's There's the Rub. Released in December 1970, Wishbone Ash contained an eclectic mix of progressive rock, hard-rock, blues, jazz and folk influences, with the band's pioneering twin guitar harmonies resplendent throughout. The record, which includes the tracks Blind Eye, Lady Whiskey and album-closing tour-de-force Phoenix, received rave reviews from the music media. West Country bassist and singer Martin Turner formed Wishbone Ash with drummer Steve Upton. They moved to London in 1969 and recruited guitarists Ted Turner and Andy Powell via a Melody Maker advert. The Wishbone Ash album was followed by the likes of Argus, Pilgrimage, There's the Rub, Live Dates and New England. Martin Turner continues to perform the band's best-loved works with his current line-up, which features guitarists Danny Willson and Misha Nikolic, and drummer Tim Brown. 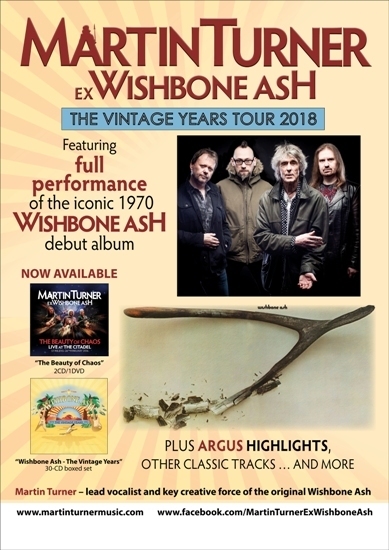 The Autumn 2018 tour will feature classic tracks from the extensive Wishbone Ash repertoire, as well as new music that remains true to the original Wishbone Ash style plus, of course, a full performance of Wishbone Ash. This year, Martin and his band have also released The Beauty of Chaos – Live at the Citadel, a live album recorded in St Helens during their 2016 Written in the Stars tour. Martin says: "This set captures my live band playing my last solo album, Written in the Stars, in its entirety and a set of the best of Wishbone Ash which I'd personally selected. We'd been playing this set for quite a few gigs by then, it was all bedded in and every performance was nailing it! This is another chapter in the story that began in 1970 and I'm still out there playing the music people want to hear. The gig at the Citadel had a great audience and everything came together beautifully. When you get the perfect gig the night you're recording it's really special and that's what we've captured here." Oct 27: Cutlers Arms, Rotherham.